New! 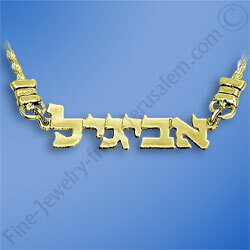 Personalise this 14k solid gold Hebrew BLOCK LETTERS name necklace with your own name or amaze someone you love by engraving his / hers. This item makes a perfect personal gift. Hand crafted and custom made.